I can imagine the gaiety and mirth that filled the halls of the electronics industry in the 1950s, as engineer after bespectacled engineer realized that the transistor would soon consign to the outposts of oblivion those ancient technologies that had preceded it. 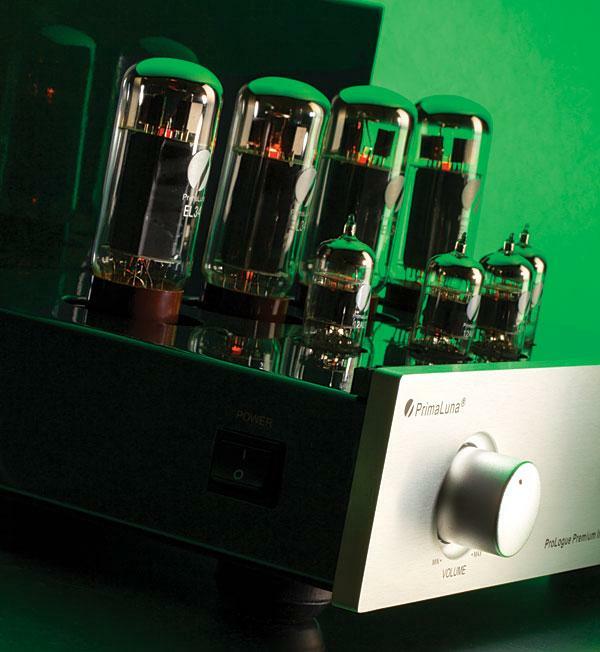 Before longsurely no more than a decadethe hated vacuum tube would vanish from the Earth, along with the tube socket, the tube tester, the tag board, the high-voltage rail, and that lowest rascal of them all, the output transformer. What a jubilant time! I can't imagine what went wrong. B.M.C. Audio GmbH (the initials stand for Balanced Music Concept) designs its high-performance audio products in Germany, where the company was founded in 2009, and has them manufactured in its own wholly owned factory in China. The design team is headed by Carlos Candeias, whose earlier designs included a belt-driven CD transport for C.E.C. 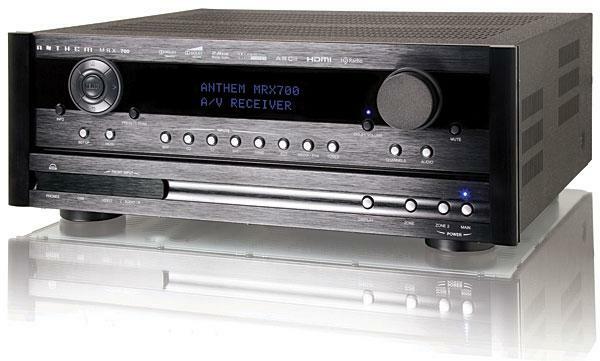 and, for Aqvox, a high-performance, current-gainbased, balanced phono preamplifier that's reasonably priced. 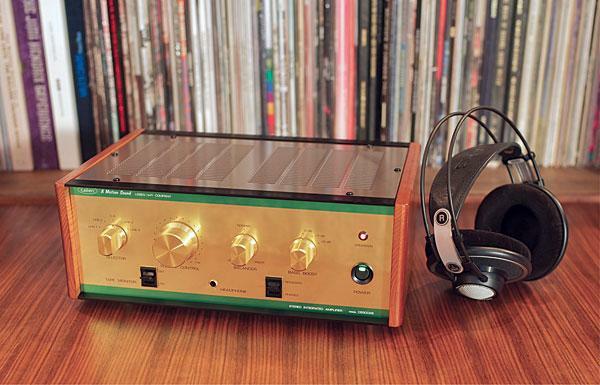 These have won him a lot of attention, and made him something of a celebrity in certain sectors of the audiophile world. 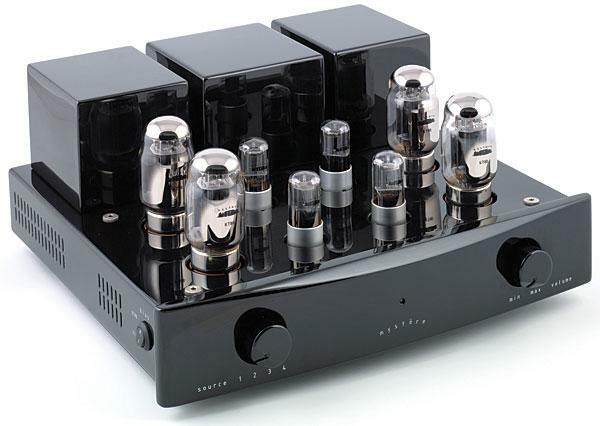 Stereophile has reviewed two integrated amplifiers from Chinese manufacturer Cayin in the past: the A-50T, which I wrote about very positively in March 2008, and the A-300B, which Art Dudley reviewed in February 2007. 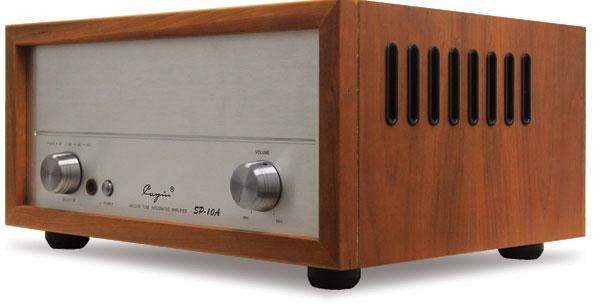 So when I read about Cayin's $2195 SP-10A integrated amplifier, which has a wood-covered sleeve, just like the old Marantz and McIntosh gear and offers 38 watts of push-pull power, in our coverage of the 2008 CES, I put in on my must-write-about list. 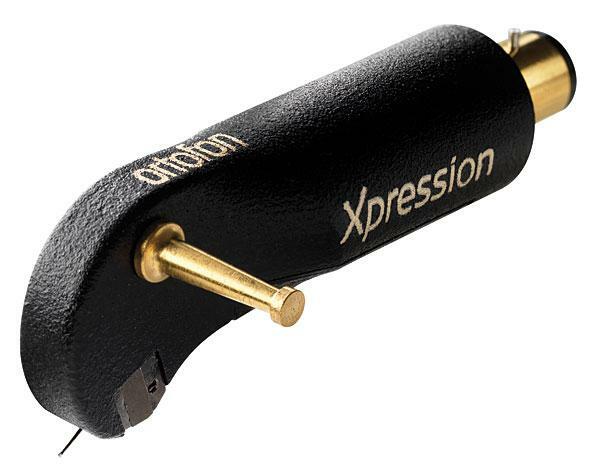 Phono cartridgesalong with mothballs, hobnails, laundry bluing, hot-water bottles, lighter fluid, fur coats, and typewritersare among the most outdated of consumer goods: To most people who make their living in the world of consumer electronics, every new cartridge that hits the shelves is little more than a coughing spasm from the death-room down the hall. You can imagine, then, the welcome accorded new samples of the even more anachronistic pickup head, which combines phono cartridge, headshell, and barbell into a product one seldom sees outside the school librarian's junk drawer. New pickup heads, which tend to look the same as old pickup heads, are manufactured in pessimistically small quantities, and seldom get much attention. 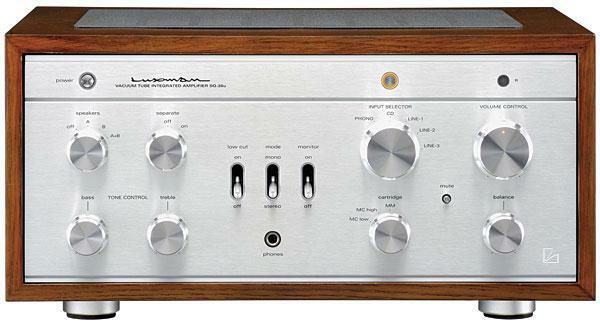 The very first amplifier I bought was a Harman Kardon PC-200, aka The Prelude. It was a 10Wpc integrated, but I chose it over the competition for some of the same reasons that the HK 990 has appealed to me. 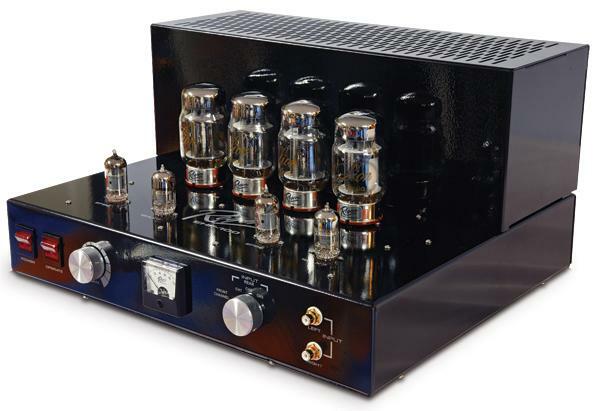 Almost all amps back in the1960s had a plain cake-pan chassis with tubes, capacitors, and transformers studding the top. Integrated amps had the standard four knobs on the front for input selection, volume, bass, and treble. 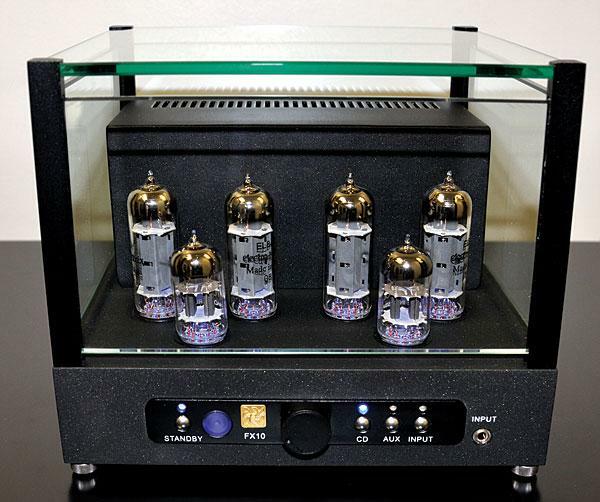 The HK PC-200 had an enclosed black chassis cage that formed a graceful cowl over the brushed-copper front panel and the six matte-black knobs: for Input selection (with three phono turnover settings), Volume, Bass, Treble, Loudness contour, and Treble rolloff. In addition, it had a Rumble Filter switch. The PC-200 was not only more beautiful than the rest of the push-pull competition powered by EL84 tubes, it also had more useful features. (Take that, you fans of the Grommes Little Jewel!). 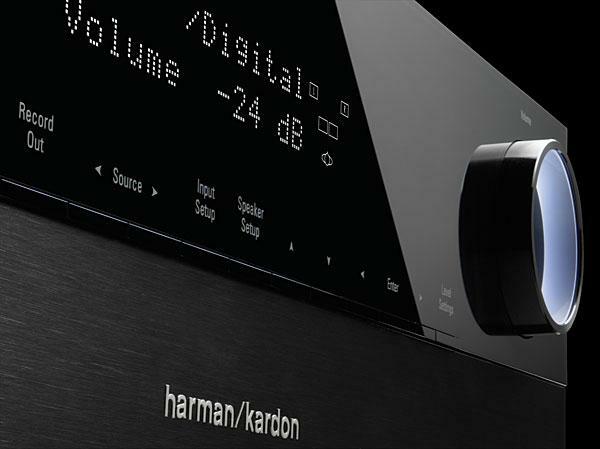 Over the decades, H/K products have always been stylish and innovative, but in today's fractured marketing world, most such creative energies are applied to audio/video receivers and lifestyle products. 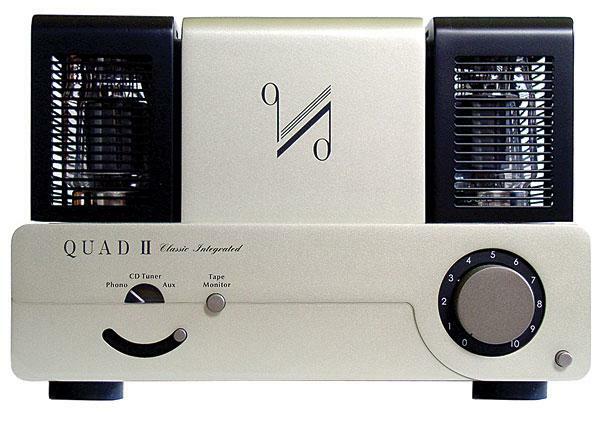 Given that Quad's founder, the late Peter J. Walker, wasn't around to design the Quad II Classic Integrated, the English firm relied instead on Tim de Paravicini, whose credits include the comparatively recent Quad II-eighty mono amplifiers and QC-twentyfour preamplifier (not to mention his own line of E.A.R./Yoshino electronics and countless other well-regarded products). It's with respect for both men that I say: In turning to Tim de Paravicini, Quad has probably chosen the closest approach to the original. 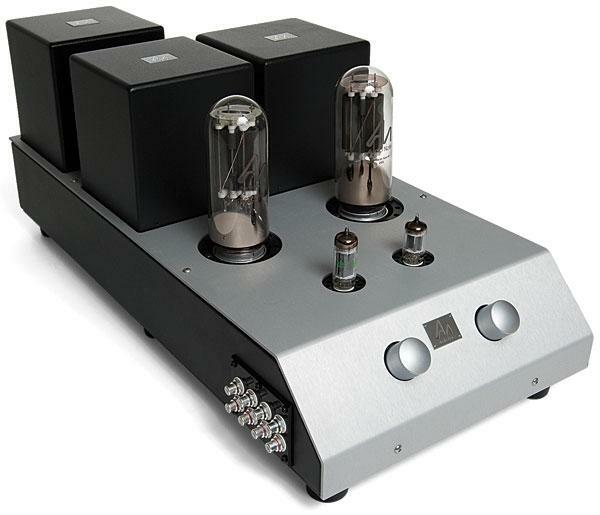 Let's not beat around the bush: this is what an amplifier is supposed to look like. The silver front panel contains over a dozen knobs and switches, yet somehow avoids seeming cluttered. The solid wood cabinet wouldn't look out of place next to Hugh Hefner's cognac decanter. And the controls! The SQ-38u is as full-function as they come ("as they used to come" would be closer to the truth), with a Balance knob, separate Bass and Treble Tone Controls, a low-frequency cutoff (aka "rumble") switch labeled Low Cut, a Mono/Stereo switch, and a mute button; plus switching and connectors for two pairs of loudspeakers. Everything but curb feelers. 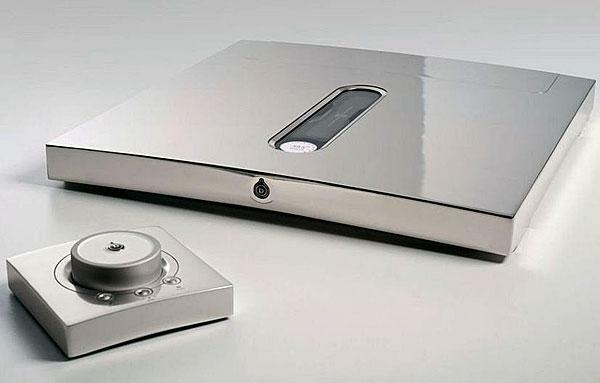 In a perfect world, I would own the following: one good turntable (footnote 1), one good tonearm, one good pickup head, one good step-up transformer, one good integrated amplifier, and two good loudspeakers. And some decent cables. That's all, except maybe a home and a dog and some records and some books and one good guitar.